This is something I have been meaning to post about forever, but actually it is right in time for the elusive upcoming Sephora friends and family sale (I do not know exactly when it is, but it usually hits sometime around October 20th). I posted about this on Instagram and I got tons of interest, feedback and validation that this product is basically the best thing since sliced bread. I love eyelash extensions, but I can not stand the feeling of them. Now, now, I am not saying this will mimic fake eyelashes and in 2 minutes you will have Kim Kardashian eye lashes buttttt its pretty dang close. This really thickens and elongates you eyelashes without clumping. It gives very long fluttery lashes. I was asked if it does hold curl and I never noticed that, because my lashes are I guess, pretty curly naturally, but I curled them and they stayed all day, so the answer is yes on that (That's for you Rae!). Additionally, it says that it is a 4 in 1 mascara providing, length, volume, curl AND lash care! Cool! This is my personal favorite mascara I have used as of yet, previously Yves Saint Laurent's Faux Cils has that title. 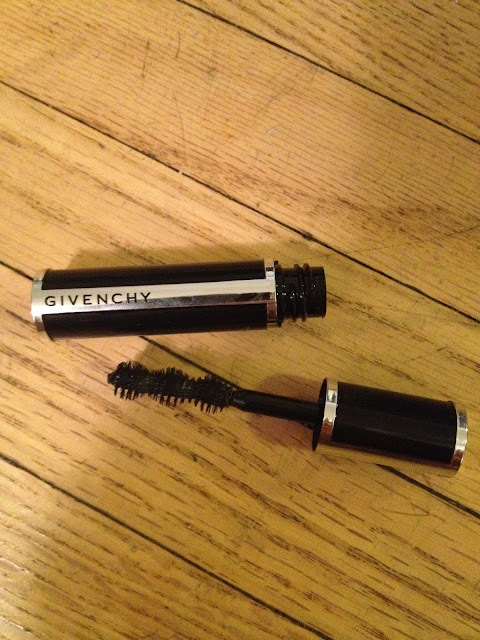 Funny, that I never liked any of the previous Givenchy mascara's until this one. I am glad I got this sample from Sephora or I would have never tried it. The below is the sample from Sephora, but I have recently gotten the full size (I actually have three now. One for home, one for my makeup bag and one for my desk. Yes, that is HOW much I like it). So, do I recommend trying this? YES. If you can still get a sample from Sephora, definitley take advantage of that and if not, it is worth the $30 somesthing plunge. Trust me! By, the way, Sephora is the only retailer you can grab this from currently, check it out here! Have you tried? Will you? Great! I am shopping around for a new mascara brand, thanks for the review. Bless you for the purpose of writing in chiropractic specialist. The neighborhood if not may just people find which type for records generated during this ideally suited system. Now you may check this Payday Loans And even observe the web site.